Losing My Edge from the Music by LCD Soundsystem. This artwork composed of three canvases is about forty-six inches long by about thirty-four inches in height. All I am doing here is to putting down some paint down, to cover the white canvas, and that fits the music theme. 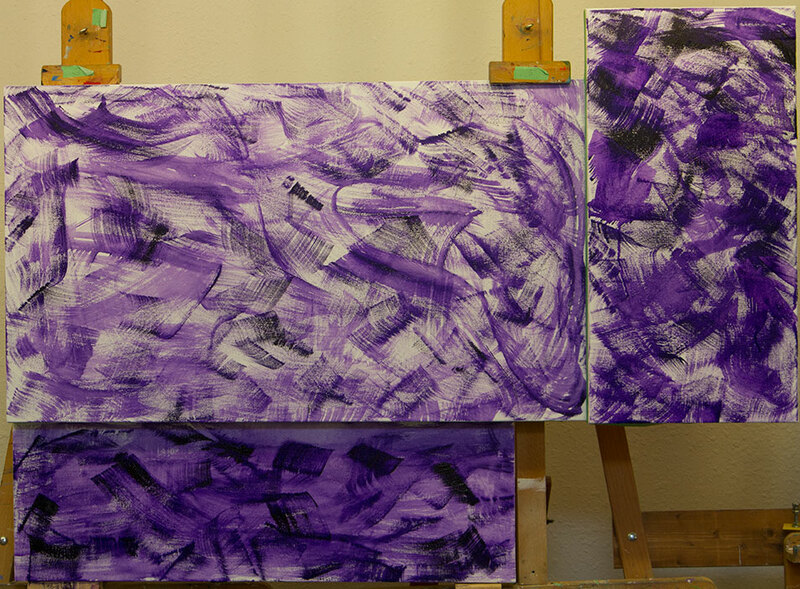 To keep it simple, which is important when time constraints are an issue, I picked purple for all three canvases. Nothing special with the technique mostly just having fun. ~ by Scott Von Holzen on 07/30/2015.